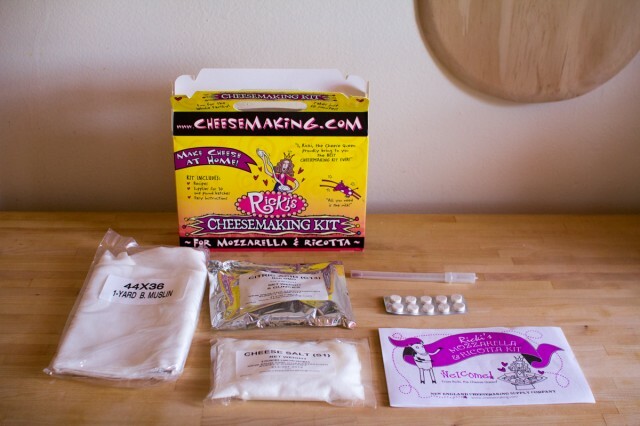 Jason’s favorite cheese has always been mozzarella, so for Christmas this past year I got him a cheesemaking kit through Zingerman’s! 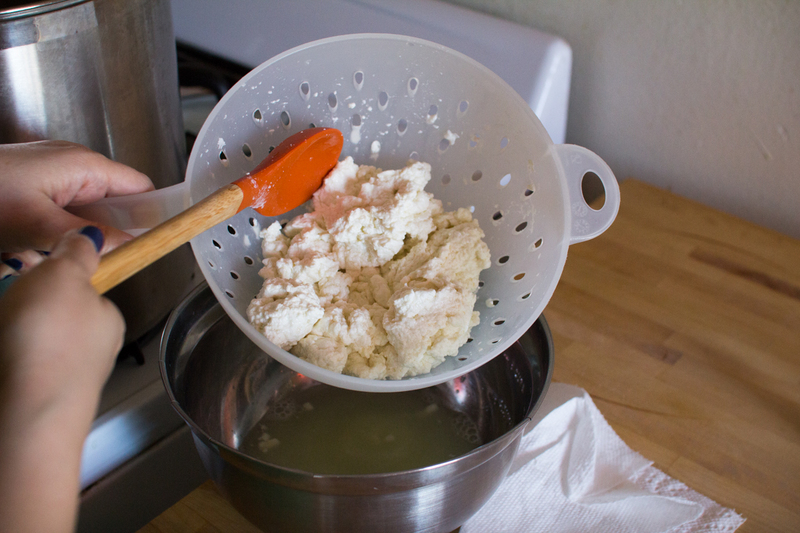 It has the rennet and citric acid you need to add to whole milk in order to make many batches of mozzarella and ricotta cheese. The directions are very clear, and the process is actually quite simple, but it involves large pots, a thermometer, and some careful timing. 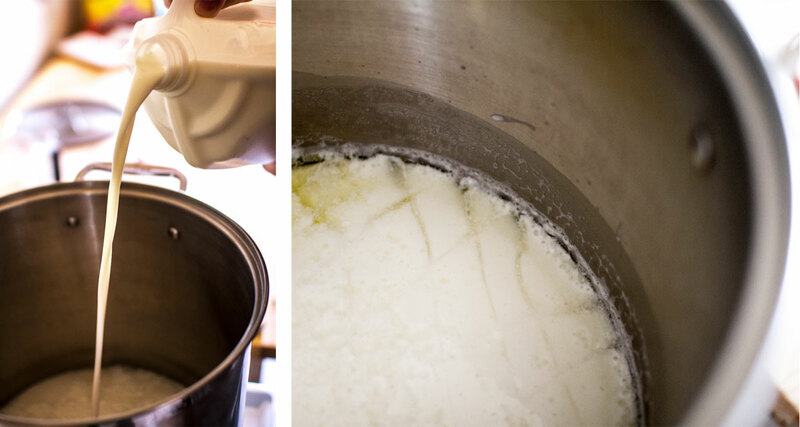 After the milk, citric acid, and rennet sit together for five minutes they magically transform into a custard-like curd; a few minutes later and that curd is elastic and shiny and actual cheese! The box says salt is optional but it is flavorless without it, and the directions also stress the importance of a stepped-down cold-water bath that we skipped but will be sure to do next time. 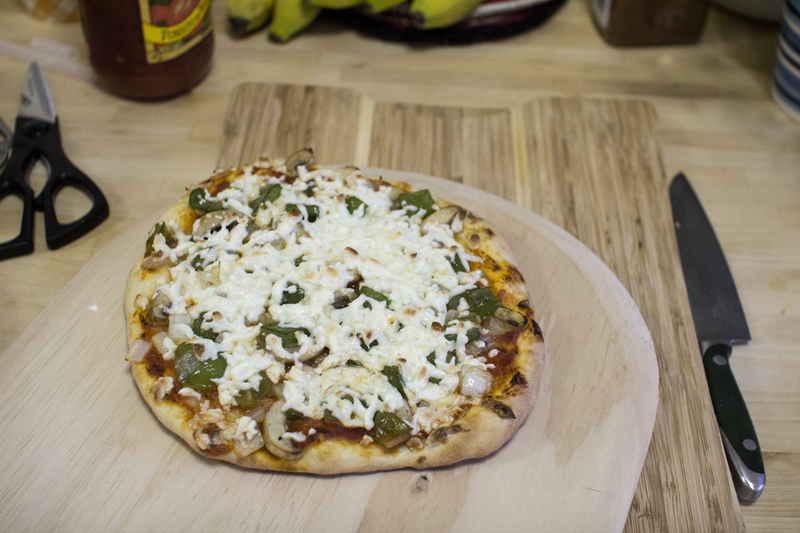 We made use of the cheese in homemade pizza tonight: a mushroom, pepper, and onion as well as a taco pizza. 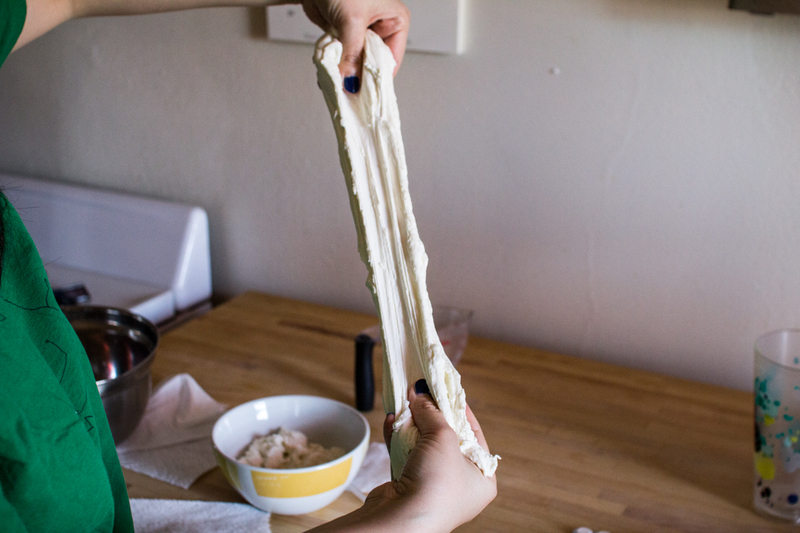 Creamy, soft, and delicious! 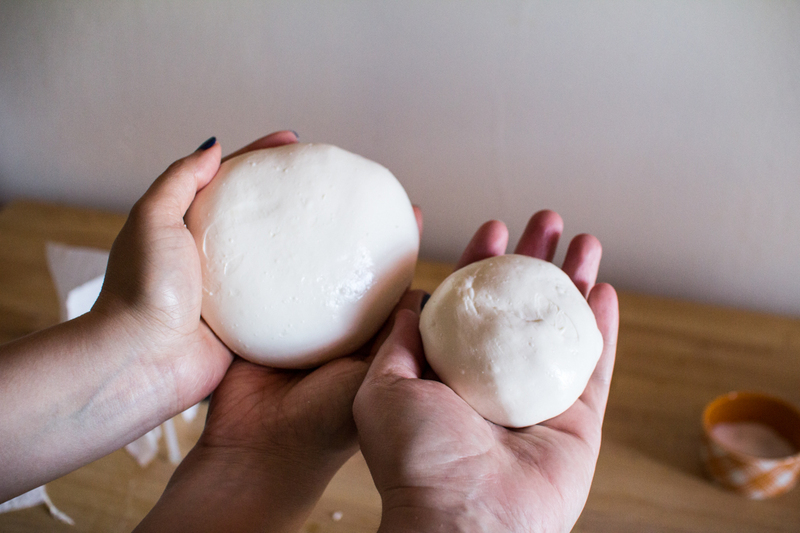 We’ll make a post about our homemade pizzas another time. I definitely want to try doing this some time! You have given me the perfect idea for a gift to bring back to my Italian husband when my daughter and I visit NYC in two weeks. Thanks for your great blog!